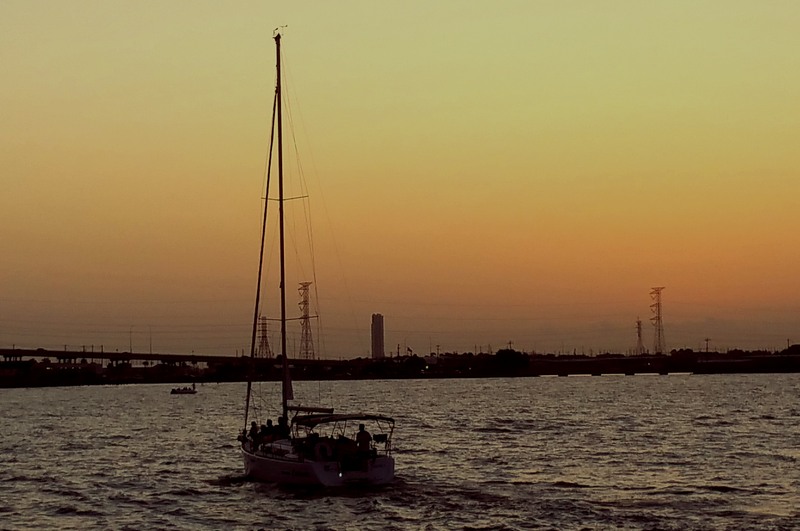 This entry was posted in Recent Posts and tagged Acceptance, Boats, Desire, Gulf of Mexico, Inspiration, Life, Love, Men, Need, Poetry, Safety, Sailboat, Sailing, Security, Submitting, Texas Sunset, Vulnerability, Water. Bookmark the permalink. Wow… You’re offering quite a lot with that yes, Michael. I’d forgotten about this poem. Man does it sound so inviting. A hopeless one am I. Thank you for sharing this song, Ben. It seemed utterly appropriate as a comment here. Your additions are always welcome, Ben. Happy to have talented eyes reading my poetry. Your support means a lot. So beautiful, So passionate …sigh!! Songs get right to our hearts with so few words and so much passion. Yeah..this was written shortly after that song played..
Ohhhh, this is sweet. Love the ending “smell my hair”. Haha, yes. It paints a picture of security and affection. A romantic! The imagery of the bay, and the use of the word anchoring provides a wonderful metaphor. Who me? Yes…pathetically so. Hopeless, I’m afraid. Rob, you’re showing your poetic muscle. Nice! Thank you for the kind words. A beautiful poem. Gentle and flowing, with just a hint of sadness. Stephen, thank you for being here. Sadness, perhaps, but maybe just maybe longing which contains hope. Most importantly. I’m glad this touched you.